What is globalization and why has it raised voices and tempers across the political spectrum? How can economics influence our intended altruism in the developing world? Where will the U.S. stand at the end of the housing crisis when a new administration comes into office? These are some of the most challenging and compelling current questions in economics and business, and their relevance stretches across a wide variety of fields: economics, international business, international affairs, sociology, international development and political science, to name a few. These are typical of the questions we study in the Globalization, Economics & Business cohort (GEB), where an intensive study of economics, humanities, and active debates about the future of a globalized world are incorporated into the freshman experience. The GEB cohort is designed to combine a rigorous academic program with out-of-classroom experiences to enrich cohort members’ academic and professional development. As part of the GEB cohort, you will reside on the Mount Vernon Campus with other members of the cohort and a graduate teaching assistant who lives in the same residence hall. The cohort coordinator is both the faculty instructor for the economics and symposium sequences as well as an academic advisor and mentor. Important for all the WLP cohorts is the small class size (in WLP courses) and direct access to a graduate assistant and GW faculty members. 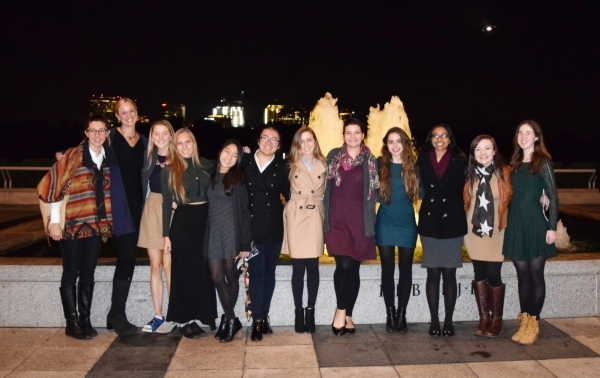 In past years, students from the Columbian College of Arts and Sciences, Elliott School of International Affairs, and the School of Business have all found that this first-year program of study fits in very well with their overall studies at GW. The GW undergraduate tuition rate applies to students taking 12-17 credit hours per semeter. 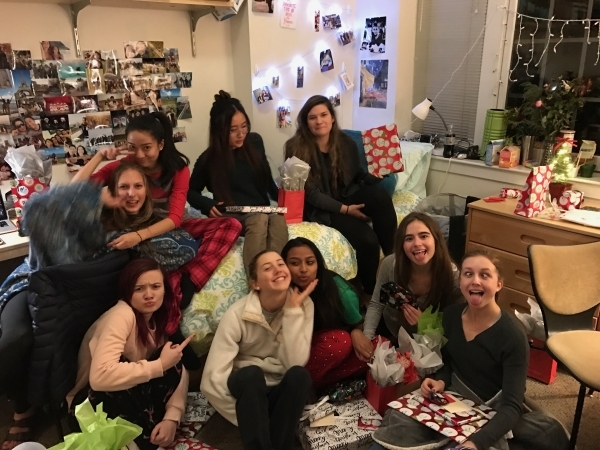 However, with the one credit requirement for the evening symposium series (WLP 1110 in the Fall and WLP 1111 in the Spring), all WLP students are automatically approved to take 18 credit hours per semester during their year in the program, at no extra charge above the undergraduate tuition rate. The Principles of Microeconomics course is taught by the Program Coordinator for the Globalization, Economics & Business cohort. Over the course of the year, students learn to think like economists, building a set of tools with which they can better understand, appreciate, and evaluate the economic news and information they encounter on a regular basis. In each principles course, students are required to apply core economic principles and theory to think through economic relationships, to analyze problems, to think critically about potential solutions, and to consider any trade-offs made when focusing on specific objectives. The Principles of Microeconomics course lays the groundwork for economic thought. Students learn how a set of fundamental principles can be used to help explain and predict behavior of individual economic agents in a multitude of settings. Students are then shown the importance of considering how that behavior feeds into economic systems (such as individual markets) and how an understanding of these economic relationships is crucial when developing and evaluating policy measures. This course fulfills one literacy requirement. The University Writing Program provides comprehensive writing and research instruction and is required for all undergraduate students. WLP offers a choice of topics taught by the program’s University Writing faculty. This course is not cohort-specific and students may select any of the courses offered. This course does not fulfill an academic requirement, but counts towards the students’ overall earned credit-hours. 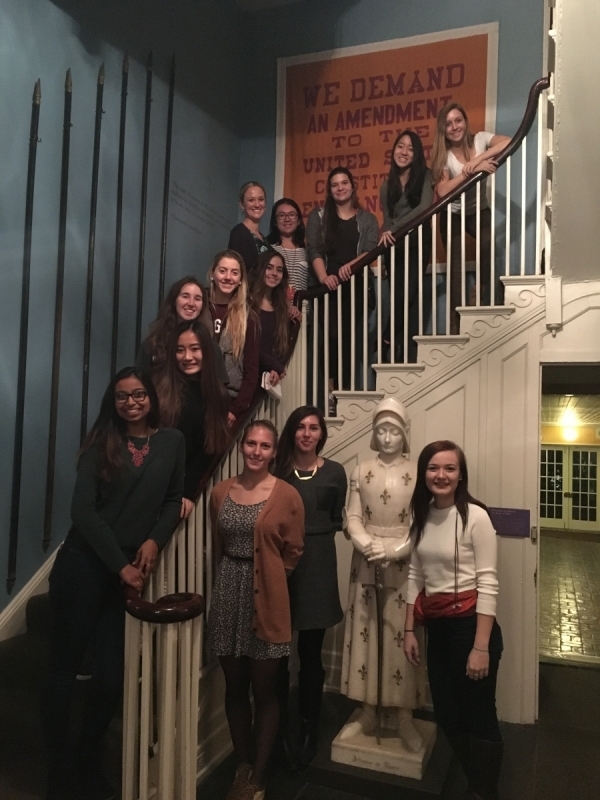 The symposia are designed to supplement the academic component of the program with a wide variety of extra-curricular opportunities, many of which are exclusive to members of WLP. The symposia fall into two main categories: women’s leadership and discipline-specific exploration. 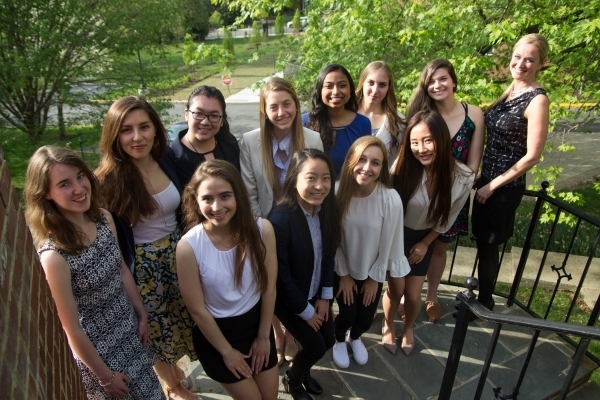 Every semester several key symposiums are shared across all four cohorts in the WLP. Cohort-specific symposiums in GEB are geared toward enabling further understanding and appreciation of key issues of interest relevant to international economics and business. In some semesters, the programming has inspired deeper discussions around specific issues such as, "How does altruism relate to foreign aid?" and "How do we evaluate the impact of micro-lending?" The Principles of Macroeconomics course broadens the focus to consider the economy as a whole. As in microeconomics, students are taught how economists use economic models to study the complex workings of our economy. Students are introduced to key macroeconomic indicators, are taught leading macroeconomic theories, and are required to use this knowledge to think critically about important macroeconomic issues and to evaluate various policy measures. This course fulfils one Humanities requirement. This cross cohort, writing-intensive seminar emphasizes critical reading skills, concepts of disciplinarity and processes of producing and legitimating knowledge for women in humanities. The course is taught by a member of the WLP University Writing faculty. The weekly symposium take place throughout the fall and spring semesters. GEB 2016-17 Cohort end of year photo. 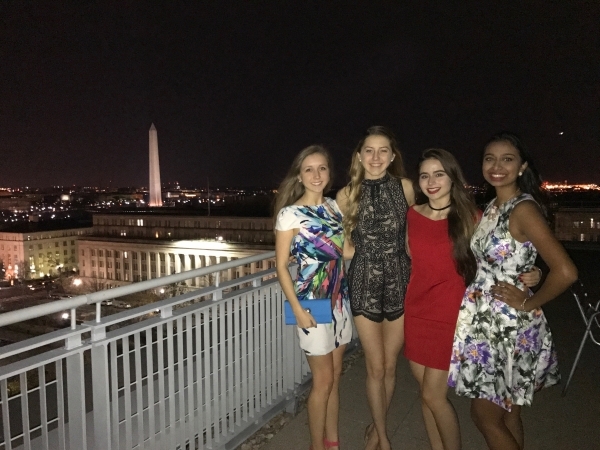 2016-17 GEB students against the Washington skyline. GEB after a Thursday night symposium off campus. 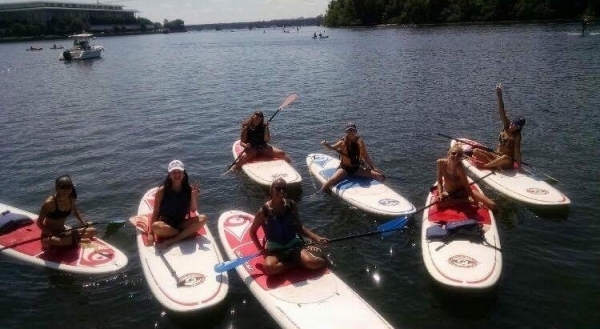 The 2016-17 GEB students on a Paddle Boarding adventure.